As a vegan jeeper, there are some things that are just damn near impossible to find that are both animal free, and of good quality. The vegan community often calls this conundrum “accidentally vegan,” which means they are vegan not out of principle, but because they are cheap. These gloves are not accidentally vegan, nor are they cheap. They are a valuable item in my trail bag, and I am even ordering additional pairs just to keep on hand (no pun intended). I trust Warn gear for recovery. When using steel winch lines, these gloves help protect against steel barbs that can pierce your hand and really cause trouble when out on the trails. Even with synthetic lines, these reduce the chance of friction burns, and can make handling the lines easier and safer. They are also a good utility glove when making trail repairs, fixing broken jeep parts, and moving rocks. 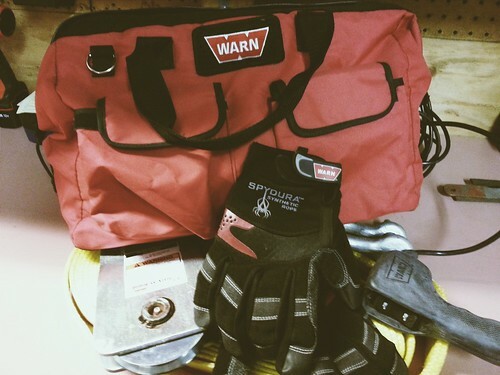 I recently received a winch kit from Warn, and in this package was a pair of Warn Spydura Synthetic gloves. It was like a gift from the heavens. Not only are these gloves animal free, but they are really robust with kevlar reinforcement in critical areas. The fit is perfect, and they are not so bulky that you can’t pick up small nuts and bolts – a common issue with the harder leather versions. The palms have significant kevlar reinforcement areas but are not so bulky or heavy that you can’t do precise tasks. The whole vegan aspect aside, these gloves should be in everyone’s trail bag. 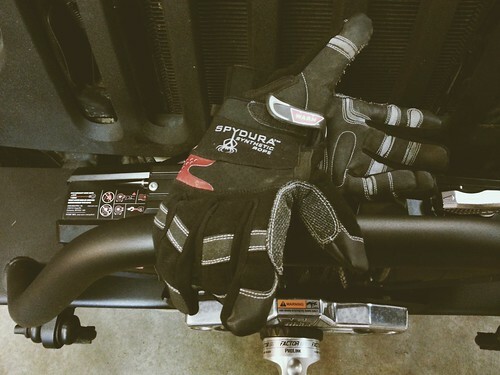 They fit very well, are relatively inexpensive, and act as more of an all-around utility/Jeep glove. I found some at Northridge for $24.99.